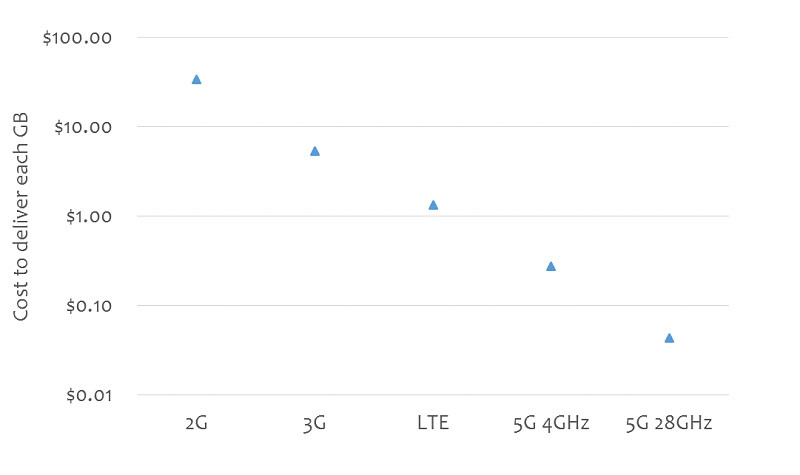 Let's face it, 5G will be awesome, at least as awesome as the move from 3G to LTE, if not more. It will allow faster connections, way more devices on a tower, and lower the latency to a high-chase game streaming level. Not only that, but analyst Joe Madden has plied us with charts and graphs that say 5G will lower the price per GB of data drastically, to the extent that any anti-trust and monopolistic pricing worries regarding the merger of Sprint and T-Mobile, will be more than offset in savings when the new 5G networks are up and operational. He also gives plenty of examples with countries like Korea or Japan, that have only three major carriers, and still have more to show for it than others with four or more major carriers, like Germany, for instance. Granted, the average monthly outlay for a user (ARPU) in Korea is $32, and in Japan $41, while Germans make do with $15-$20 ARPU, but at the same time they consume 2-4 times less data per month on average, and 5G is still a distant pipe dream for German subscribers, while Korea and Japan are rolling out those networks as we speak. Thus, the analyst's conclusion is that the Sprint and T-Mobile merger is unlikely to affect plan prices negatively in the longer run, and we'll probably even have much more GB per month for the same prices we are paying now, to the extent that a lot of folks might ditch their broadband home connection once 5G kicks in. In the telecom market, next-generation technology does a lot more to reduce prices than any other factor. We need to encourage investment in technology, not create the appearance of competition by forcing weak companies to continue limping along. it's going to go through, cannot wait. Catch up one the times mate, they talked about merging again after the first time and actually manged to come to an agreement. Wasn't LTE supposed to make unlimited and unthrottled data plans a reality? It never happened and 5G won't really change anything for consumers. 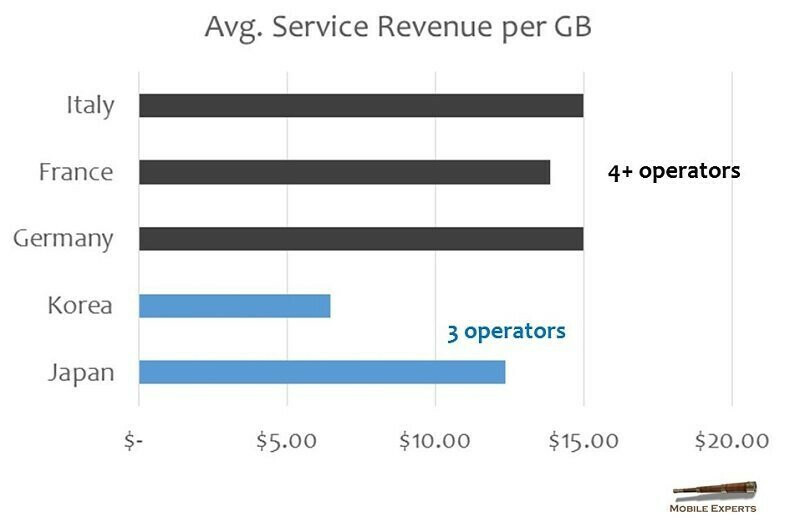 Only carriers will benefit from being able to service more devices for the same cost as before. In what universe does a company end up charging less if it costs them less to "produce" the goods? You've never bought a TV or Computer have you? This is a pretty disingenuous argument that is really based upon the premise that the only way that the U.S. will have 5G is to allow this merger. We're going to have 5G anyway. Why? Because the carriers already said that they're going to roll it out. They know that they really have to deploy it in the name of competition. Four carriers offering 5G is better than three carriers offering 5G because prices will undoubtedly be lower because of competition. When 4G debuted we were still lugging around early IPhones, Motorola Droids and Blackberries. If I am not mistaken the first 4G phone was debuted by Sprint and was an HTC. Given the time period and how fast tech has changed. I think based on tech at the time we just didn't imagine how much we would progress in almost a decade. I think now we have a better understanding of what our possible tech needs will be in the next decade and can better forecast then the previous decade. Then again this has been an argument in tech for ages. I remember people saying 128MB of RAM will be more then enough. Only time will tell. Yeah, but back then everyone complained about paying a $10 premium data fee, now look. $10 premium data doesn't exist BUT at a certain point, your throttled and during peak times. The "so called" 4G HTC phone on sprint was the Evo. WiMax wasn't true 4G. I had that model, fast, yes, but WiMax was doa.